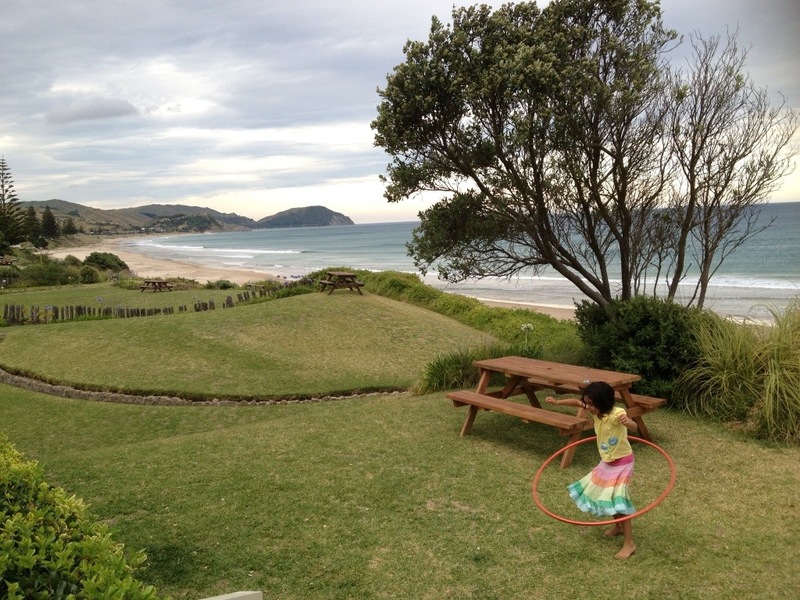 As I laze in sunny Gisborne (pictured below, view from our deck, with my wonderful daughter in the foreground practicing her hula-hoop) here is an abstract from an essay I did last year on Film noir, style, themes, and existentialism. You can see it here. Ironically academic writing is a million miles away at the mo … ah the sun.